"In Search of Our Fathers"
Courtney B. Vance: Courtney's story rang True with a lot of people. As a Retired Veteran I was so Honored to see his family member serve in United States Colored Troops. Now that is something in the words of Dr. Gates, only "most People of Color dream of"! Soldiers always had a Impact in our History. Especially for African American's. We have done this in every War, we have always proven we are battle ready. My family is African American. 4 Generations of Firstborn Lewis's who served this Country. That is what held Meaning to me; for Courtney. I always wondered if I could go back, see where this strength comes from beyond myself? 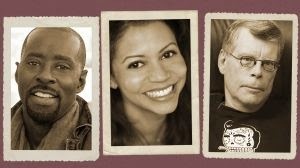 Was there something long ago that all 4 of us stepped up that we didn't know we got from our Ancestors? Was that Ancestor a USCT Soldier? 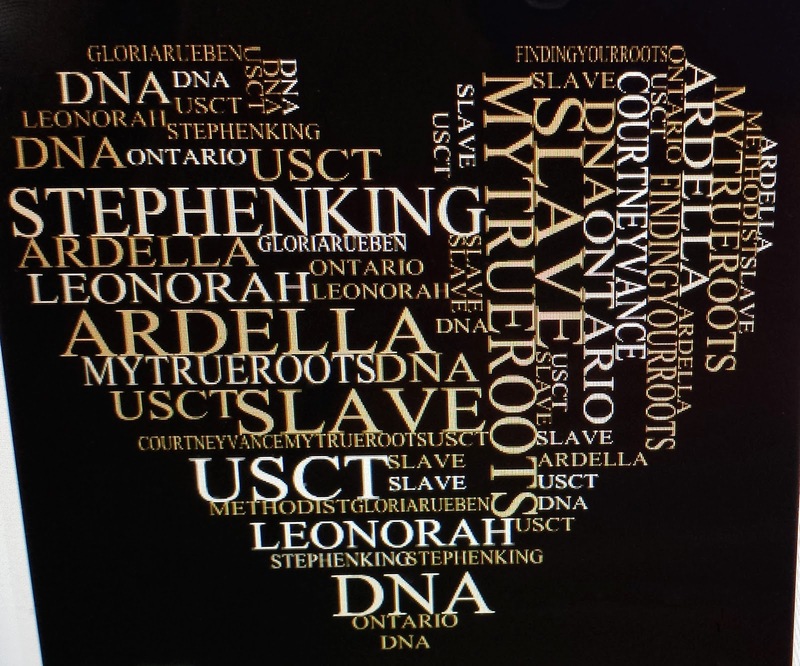 I did wonder during the Program what Courtney's y-DNA test revealed about his Haplogroup? We're most likely always left out of the narratives of History. Our Elders in our Community, we get most of our family lineage through Oral History. This is were we find someone has served long ago. My Grandfather proudly told of his World War 2 Service. Most from his generation are quiet about their life of service, he was to. It was when he got older did he begin to tell of his Life's Journey. That is a starting point for most African Americans, Oral History. This is how I learned of our family's service to this Country. Thankfully my Grandfather left me his WW2 Army footlocker full of goodies. 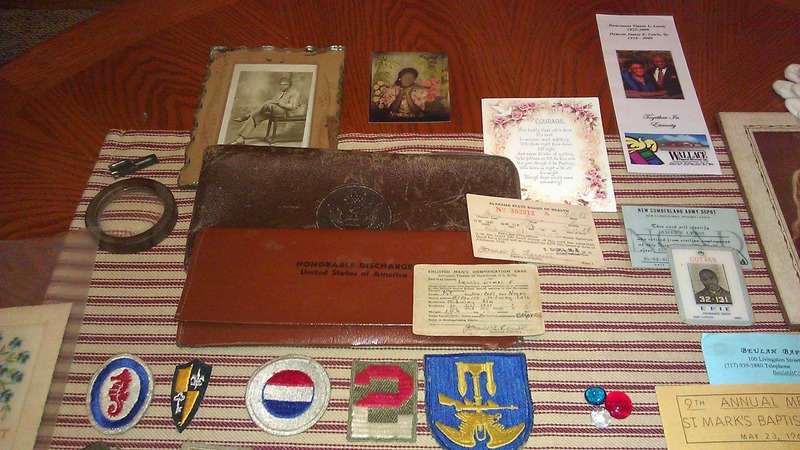 His Original enlistment papers, patches and pictures. Most of all! his Oral History of his travels and what happened. That was the beginning for my family on reconstructing our family members military service. These are items I had clues to go on to look for official records. My Father is a Retired CSM of the Marine Corps with 28 years of Service. I'm what they call the "Clinton Baby" I served during his time of Presidency. My Son. My 1st Born has been in the Army with 3 Tours of Duty. Our experience being Military have allowed us to know where to look for the records on your Military Family Member. I try to show people where they can find records as well as put their information online so we aren't left out of History. So much sweat, tears and blood have been shed for us to have our own personal freedoms when this Country has denied us for so long for so many years in all kinds of way. This has been a history with our People in the Military to show we should be treated as equal to this Country. My 1st stop would be NARA . National Archives Records Administration. US Army Heritage & Education Center in Carlisle Pa. & Fold3. Courtney's Great Great Grandfather a Union Soldier named John Janey! who marched for President Lincoln's funeral procession! It allowed for everyone to know about the USCT United States Colored Troops. Records are plentiful in each State even at the local level of government, as well in Washington D.C. I've had the pleasure of going the USCT Museum to see how you can obtain records on your Ancestor. Most of these organizations take requests by mail, fax or email. 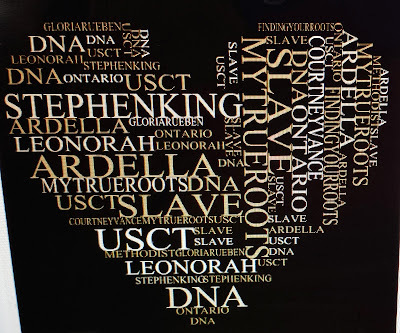 This part of Courtney's story about his Grandfather Union Soldier John Janey beautifully woven into telling what you can find and research on your Ancestor. It is possible. Take some time to research with patience. I started with Oral History. Getting clues, asking direct questions. Then I went to the local level. 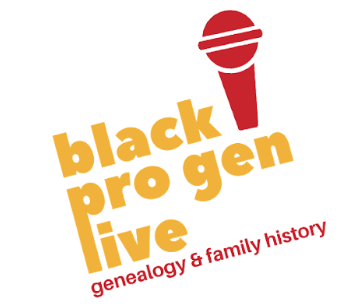 Utilized online family history sites like Family Search and Ancestry.com. From there I collected what was needed for my Grandfather. I requested records from the following organizations. Now that we have my Grandfather's Military Records in order. Us next 3 Generations have ours in order to make it easier for the next generations to have all the information that is needed. The 1# thing you need to find is Name, Date of Birth, Enlistment date and Service Number, now a days it's the SS# and a DD214. Once you have those things you can start your Journey! Everyone should know and investigate their History. Knowing from "Whence thy Came" always makes Life a little easier. 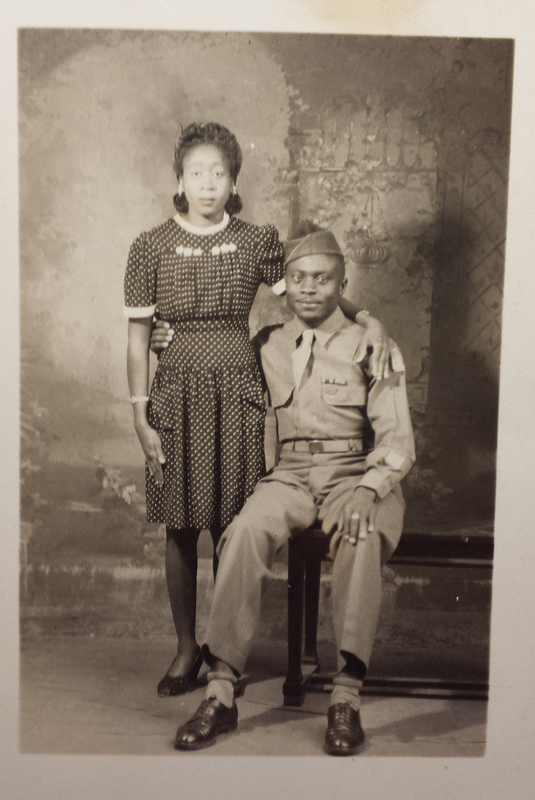 In Remembrance of my Grandfather PFC James E. Lewis,Sr. Well.....Hello Blog Friends! & Family I'm back! I got quite a SURPRISE to Tell you About! 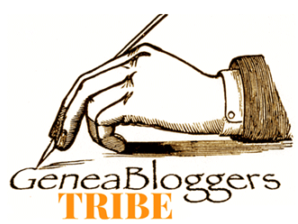 I was Nominated for a "One Lovely Blog Award"! From Elise Ann Wormuth of Living In the Past! Thank You Girly! It's much Appreciated! Her Blog is so Interesting with unusual last names. I love her stories with photos. She weaves great information into her blog pieces. Something I have yet to master. I feel Honored & Humbled for my Shabby Blog! Thank the Person who Nominated you and Link them to their Blog. Add the Award to your blog. Share 7 Things about Yourself ! Nominate 15 Bloggers! or as many you can. 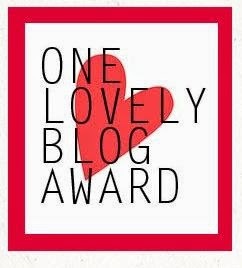 Contact your Nominated Bloggers and let them know they've been tagged for the "One Lovely Blog Award"! OMG! (OhMyGoodness) here are 7 Things I want to share about Myself for You to know me. Proudly Served in the U.S. Army all over the World. Me and President Barack Obama both lost the Women that raised us. Our Grandmother's. Mine left unexpectedly November 11, 2008 after voting for the 1st African American President. She was 85. He lost his Grandma November 2, 2008. She was 86. Most days can be tearful knowing they are gone, but quickly replaced with Joy! I still have my Raggedy Ann doll. Love all things English! Favorite tea is Twinings Earl Grey. I'm obsessed with all things for Disney's, Princess Tiana. I'm leaving children books signed by me, for my Future Grandchildren. 7. I'll be on PBS Season 2, St. Louis to "Reveal" personal Family History for GENEALOGY ROADSHOW! 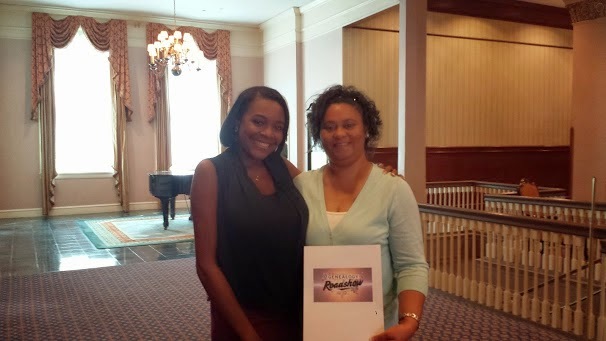 GENEALOGY ROADSHOW , Me & Kenyatta Berry! My Blog, it's my Baby! I have so many Fellow Bloggers! that I love to make visits to, even ones I don't know yet, but I'm waiting to see their work through Fellow Bloggers. I'm always anxiously ready to meet new Bloggers. These are just a few, I love to Stop by & See what their Blogging. I want to Share them with you. Here's my List of Bloggers!, who I nominate as "One Lovely Blog" in no particular order! I better stop at 7. It seems Lucky! 1. Jewells in Dem Kentucky Hills at 80 she is a Daily Inspiration for me to keep blogging. If she can do it so can I! 2. Cecelia's Digs My Aries Sister! She is Hilarious! With a Sense of Humor out of this World. I'm Lucky to know her as a Colleague. She keeps it Real! 3. Claiming Kin Livvy is something Special. She has taught me so much. She's always there to teach and share with you. 4. Griot Gram Genealogy My DNA cousin! Vic encourages you, she prompts you. Curious soul. 5. Terrance's Family History my Brother in Blog. Knowledgeable and precise. Love his work. 6. Echoes of My Nola Past Fe has been a constant Warrior for our Ancestors. 7. How Did I get Here? My friend Andrea sweet, shy and kind. All her Blog Pieces are thoughtful and full of making you want to go get more information and complete a well rounded blog piece. Please Stop and Let them know I sent you over! and I'm sure they won't mine if you give them a "Follow". I love Follows! If you've been Nominated already that's Fine. Even if you don't want to do the Award , it's OKAY to! Just wanted to Let you Know Your "Lovely" and you can Pay it Forward. I don't want anyone to feel slighted. so....Please Charge it to my Mind and not my Heart!